Discover what is hidden in your Valentine’s Box today! 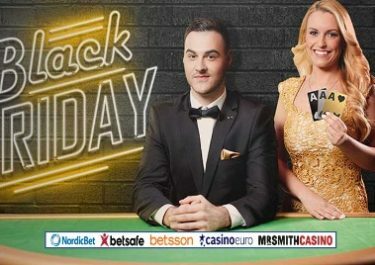 Betsson has started the Valentine’s celebrations early this year, giving players the chance to get a daily surprise gift until Valentine’s Day. All straightforward, a simple click on one of two surprise boxes to activate the reward followed by wagering minimum €50 in the Casino or Live Casino before midnight will see the reward instantly added to a selection of Jackpot slots. Watch your Betsson Inbox for the notification. Remember, there is only one pick for a surprise box per day, and once the choice is made it cannot be changed. So get started now and claim your rewards, and maybe you will also be able to hit one of the jackpots within the surprise games. Exclusive for players from Finland, Iceland, Norway and Sweden. Get ready for two weeks full of Valentine’s surprises. Everyone is given a choice of two daily gift boxes with Free Spins on Progressive Jackpot slot from which only one can be selected. Choose wisely as the box cannot be changed. Once the selection is made, players need to wager minimum €50 before 23:59 CET on desktop or mobile in the Casino or Live Casino to be eligible for the daily reward and gain access to the surprise box. A Betsson Inbox message will notify qualifying players. The Free Spins will be instantly credited to a selection of Jackpot slots once the promotional requirements have been met and have to be used before midnight on the same day. Wagering requirement is 25x FS winnings withing one day, subject to the Betsson bonus terms and conditions.